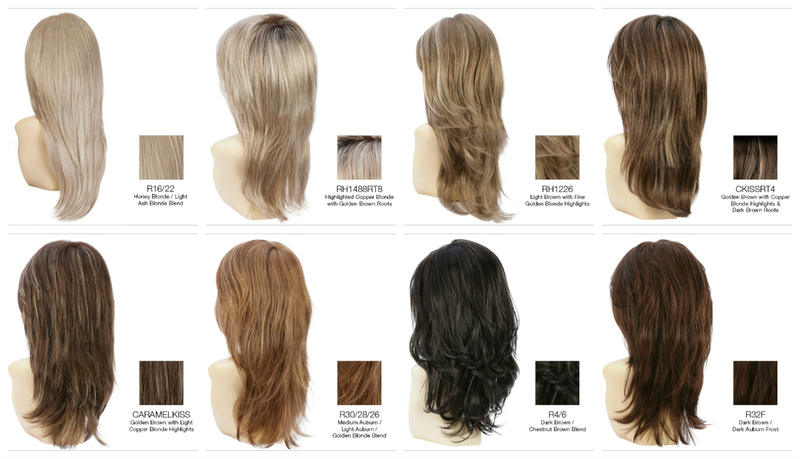 Fabulous hair that is discreetly shipped and billed! Life just got easier Ladies! 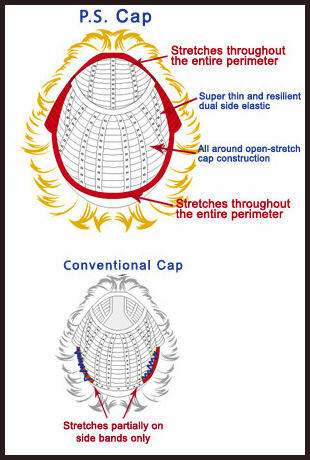 ESTETICA DESIGNS PRESENTS the "PURE STRETCH CAP" (Available in all styles on this page) the ULTIMATE in comfort and Quality! 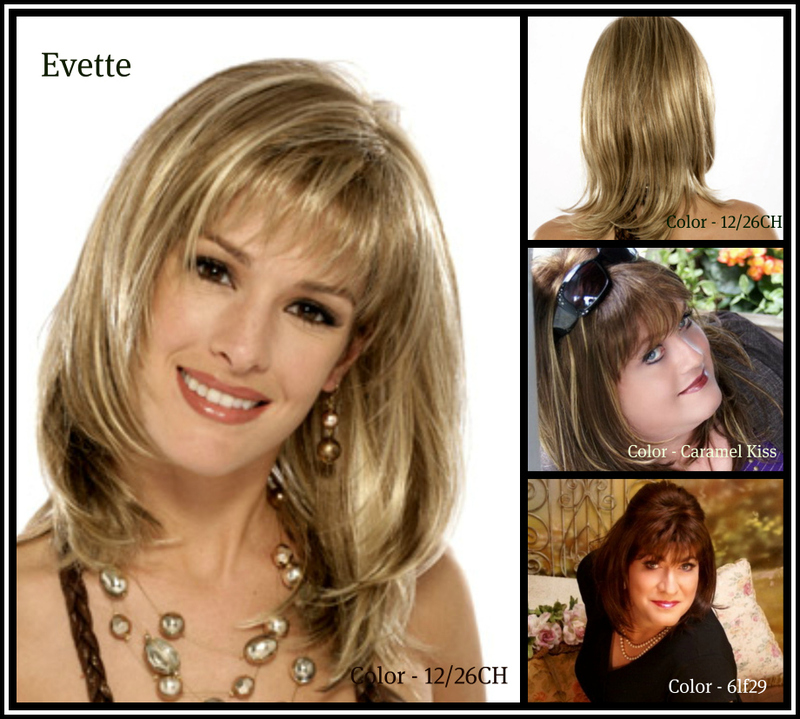 These wigs are TRUE Favorites ladies"
Compliment is a very flattering style with beautiful wavy layers and fullness throughout. 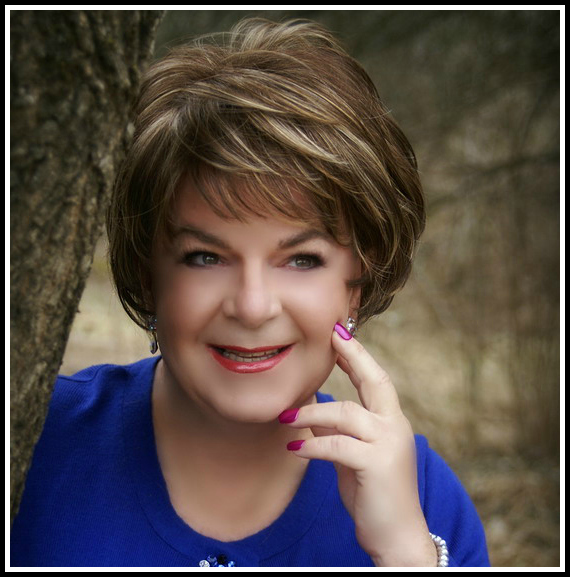 Wear the bangs forward or sweep them to the side, either way you've got a look of perfection.